The E is for Extreme. 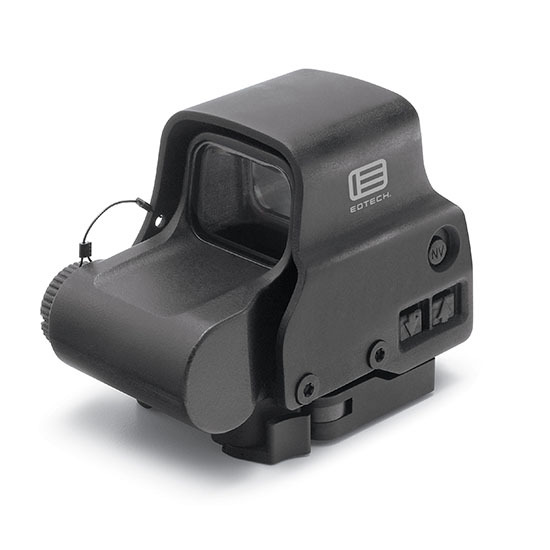 The EXPS3 offers true 2-eyes-open shooting and a 7 mm raised base that still allows for iron sight access. It features easy-to-adjust side buttons and an adjustable locking quick-detach lever for easy attachment and removal. 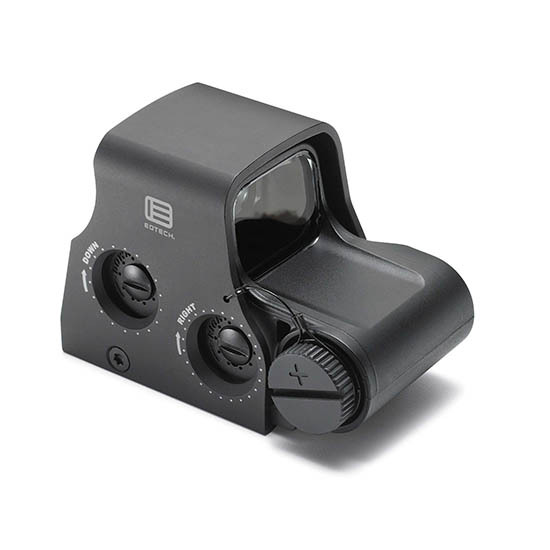 EXPS3 was chosen by the U.S. Special Operations Command (USSOCOM) as their primary optic for close-quarter engagements. 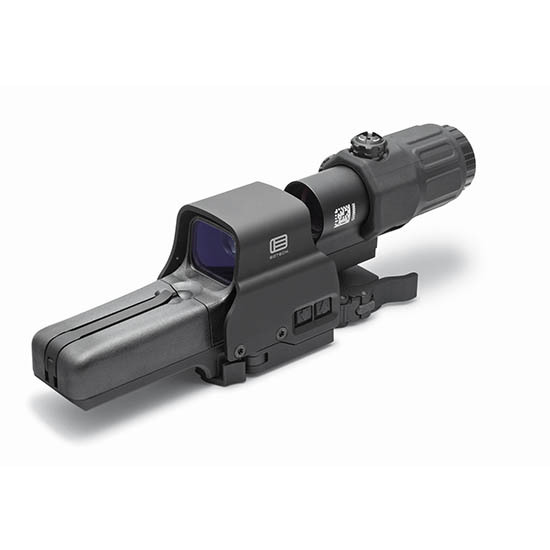 It is also the optic of choice for the technologically advanced modern rifle hunter. 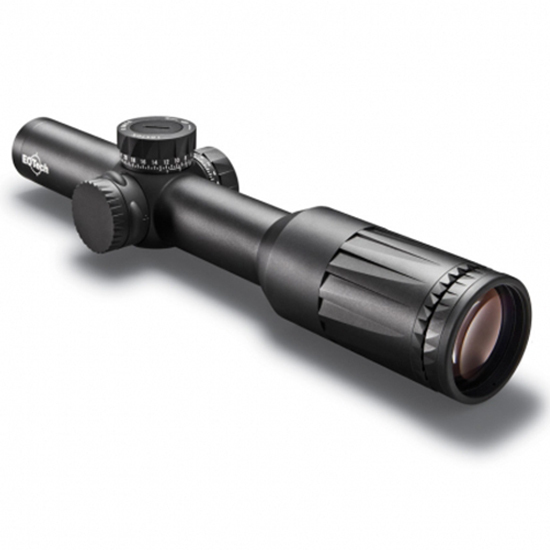 Its night vision-compatibility makes it a versatile choice for day or night hunting. 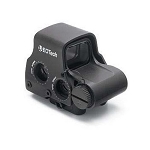 - Product Details - Night vision compatible - Length/Width/Height: 3.8 x 2.3 x 2.9 (96.5 x 58.4 x 73.7 mm) - Weight: 11.2 oz (317.5 g) - Water Resistant: Submersible to 33 ft. (10 m) depth - Mount: 1 Weaver or MIL-STD-1913 rail - Brightness: 20 daylight settings 10 additional settings for Gen I through III+ night vision devices - Power Source: One 123 lithium battery - Battery Life: 600 continuous hours at nominal setting 12 at room temp.